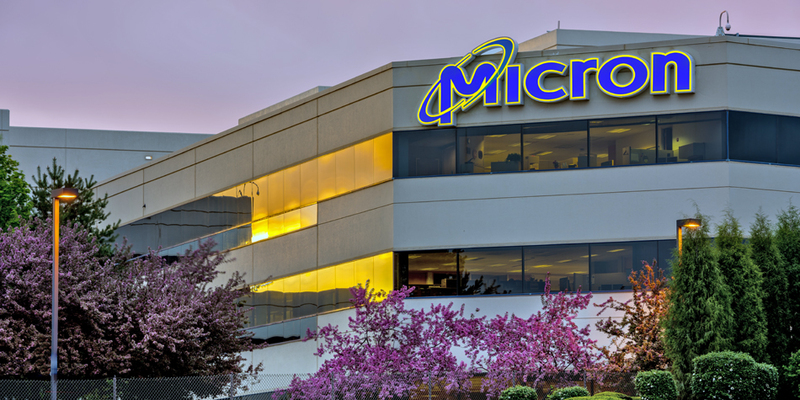 The past few years has seen robust gains for Micron Technology (NASDAQ:MU) stock. But lately, the good times have turned sour. Yet this has not just been a matter of the recent correction in the markets. Keep in mind that Micron stock has been sliding since June, going from $61 to $35. This steep drop has happened even though the company has been aggressive with its buybacks. There also appears little evidence that the company will hold back either. So as of now, Micron is at dirt-cheap levels. Consider that the price-to-earnings ratio is at a mere 3X. By comparison, NVIDIA (NASDAQ:NVDA) trades at 30X and Advanced Micro Devices (NASDAQ:AMD) sports a multiple of 67X. But in the chip industry, earnings can evaporate quickly. When inventories pile up, the cash burn can get serious. This possibility is likely to be an overhang on Micron stock, and this could last a while. Yes, the tensions between the U.S. and China are wreaking havoc across a myriad of industries. Although, the chip sector may be particularly vulnerable. One key reason is that there are extensive global supply chains, usually with major footprints in Asia. This is why Micron has been looking at relocating various operations. True, this should soften the impact of tariffs. But of course, there will be disruptions and higher expenses. In the latest quarter, management indicated it could take three to four quarters to make the transition. There is something else particular to Micron: In July, a Chinese court banned some of the Micron’s offerings. Then again, the government is intent on building is own chip industry, which is part of a plan called “Made in China 2025.” In other words, if the trade tensions continue, this initiative may accelerate, resulting in even more pressure on Micron. Perhaps the biggest factor that impacts the direction of MU stock is the pricing on memory. Let’s face it, even with the company’s innovations, memory chips still are commodities. However, there are already indications of weaker pricing. In the latest earnings report, MU reported a deceleration in the growth ramp and there was also weak guidance. Traditionally, chip makers have been a boom-bust business. Growth can soar as there is limited capacity. However, this will eventually lead to oversupply and a plunge in chip prices. But some investors think that this cycle may no longer applies. Why? The rationale is that chips are no longer mainly about PCs, which have volatile demand. Instead, companies like Micron should benefit from secular trends like IoT (Internet-of-Things), robotics, AI (Artificial Intelligence), VR (Virtual Reality), cloud computing and so on. No doubt, this is a reasonable position. Yet this does not mean that there will not be short-term imbalances either. In such an environment, it would not be surprising to see swings in stock prices that go to the extremes on the downside. For example, this is what happened to MU stock between 2014 to 2016, when the shares went from $35 to $10.